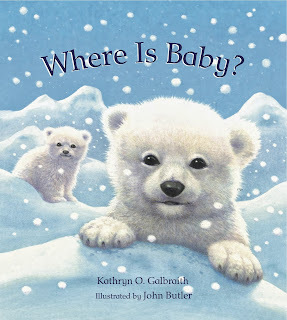 The World of Peachtree Publishers: Where is Baby? How animals hide! Today we're kicking off a new blog tour for Where is Baby? the newest picture book from Kathryn Galbraith (author of Planting the Wild Garden and Arbor Day Square)! Babies love to hide - beneath blankets, under tables, and behind chairs. And some babies are found in unexpected places. Like baby deer, who disappear in dappled spring sunlight. Or baby leopards, who scramble high in the African trees. Or baby elephants, who fade behind a forest of legs. But all babies, no matter where they are, can always be found - by their loving parents. Be sure to check out our stops and enter our giveaway contests! Check back right here for your chance to win!